Our personal coaching is designed to help you achieve your goals. Coaching is what we do. We know how you tick.  Our bespoke coaching services are suitable for runners of all abilities and aspirations. You don’t need to be an Olympian to be coached by one. Individual coaching is all about bringing you the best support and helping you find ways to achieve what you want. We have a high level of understanding of people, relationships, motivation and performance – at every level. Whether you want to complete your first ever 5k or marathon, your first sprint triathlon, or the Hawaii ironman we have the coaching know how (and experience) to help you do it. We’ve worked with people who want to lose weight and start exercise for the first time right through to professional athletes, World champions Olympians and Paralympic Gold medalists and celebrity individuals or teams looking to achieve things they’d previously thought impossible! We have a coaching philosophy that is based on helping people achieve their goals through effective support and encouragement for all levels of ambition. We believe in relationships and working together. You will establish a great personal coaching relationship with your coach and they are committed to helping you succeed. directly with you to develop your progress around your goals. This remote approach works really well for busy people who are committed to the many things they do as it fits with their lifestyle and commitments whilst giving them a great level of coaching support. A consultation phone call to meet your coach and find out more about your aspirations and background. A bespoke training plan personally written for you by your coach on a weekly basis. Online training plan interaction with your coach to review and monitor your progress. Regular email contact with your coach to keep you on track, motivated and support your training. You get to pick your coaches brains about running, training, racing, nutrition, mental strategies, race planning and anything else you like!